Dear Dumb Diary: Year Two - School. Hasn't This Gone On Long Enough? The diary that’s funnier than the Wimpy Kid. Jamie’s crazy take on school. Comic genius. Bestselling author Jim Benton delivers a brand-new spin on his mahoosive series. 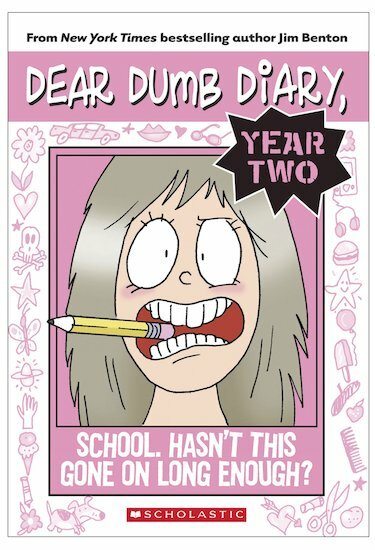 It’s Dear Dumb Diary: Year Two! Jamie is grappling with new middle school dilemmas, grades and Big Questions. And she has more words of wisdom to jot down in her super-secret diary. That means big laughs for YOU . But don’t forget – Jamie still has no idea that anybody is reading her diary. So please, please, please don’t tell her! Jim Benton is not a middle-school girl, but do not hold that against him. He has managed to make a living out of being funny, anyway. 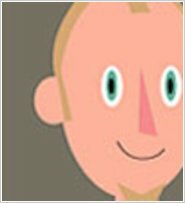 He is the creator of many licensed properties, some for big kids, some for little kids, and some for grown-ups who, frankly, are probably behaving like little kids. You may already know his properties: It’s Happy Bunny™ or Just Jimmy ™, and the bestselling middle school series Dear Dumb Diary. He’s created a kids’ TV series, designed clothing, and written books. Jim Benton lives in Michigan with his spectacular wife and kids. They do not have a dog, and they especially do not have a vengeful beagle.